Matthew 6:21 tells us that where your treasure is, there your heart will be too. 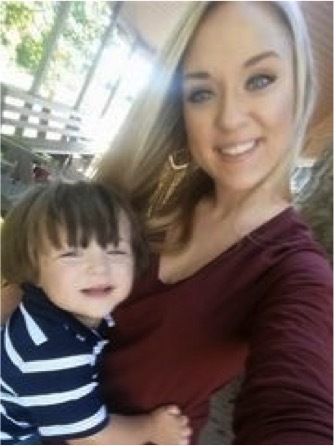 For Lauren, her heart was with her son, Colton. And of course, he meant far more to her than any other earthly treasure, such as money. So when this little tyke requested a SpongeBob party for his second birthday, this Waffle House waitress didn’t hesitate to use everything in her bank account to make sure he got his wish. After purchasing the decorations and cake for the party, along with a Fisher-Price truck as a birthday present, Lauren’s bank account was completely wiped out -- a sacrifice the single mom felt was well worth it to make her little man’s special day extra special. 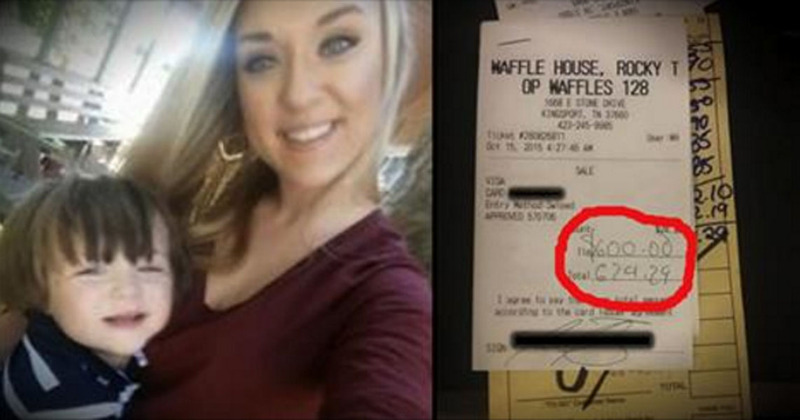 When she went to wait tables at her regular overnight shift at Waffle House, she wasn’t expecting anything out of the ordinary. When two young men sat down at one of her tables, she gave them the friendly service she gives all of her customers. She chatted with them, and even shared how she and her son were preparing to go to the beach with her father -- a present her dad was giving to her as a college graduation gift. But when she picked up the signed credit card slip for their $24.49 meal, her jaw hit the floor. 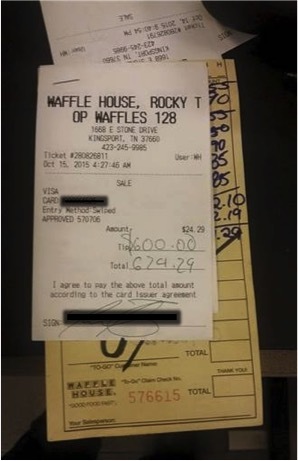 The table had left Lauren a $600 tip -- the equivalent to three paychecks for the hardworking mom. She immediately began to cry, amazed and touched by the kind act. Still in shock, Lauren, and even the cook, checked with the two young men to be sure this was not a mistake. And when asked why they would do something so generous, their answer renewed my faith in our youth. The two said they just like to help people. "The fact that someone would do something so nice for me, it's just the craziest thing to me," gushed Lauren. "I can't thank them enough." 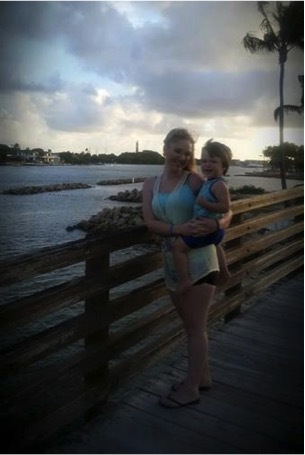 With her bank account restored, Lauren and Colton were able to enjoy the vacation with her father, without having to worry about how she would manage to pay her bills when she got home. The good samaritans even reached out to Lauren while she was away, to make sure she hadn’t had any trouble collecting the $600. Not all of us have the ability to give such a hefty tip. But you don’t need $600 in order to bless someone else. God can use even the smallest act of kindness to do great things! It is always better to give than to receive. And that gift can be many things other than money -- time, attention, a kind word. What can you give in order to brighten someone else’s day?